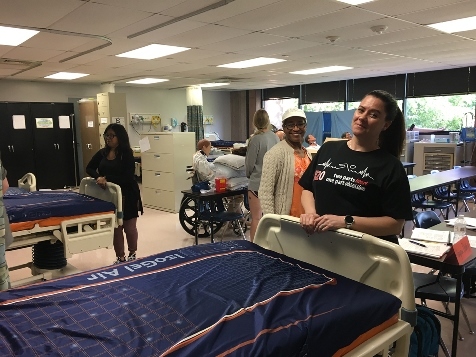 Olathe Medical Center donates patient beds to KCKCC nursing department – Welcome to Wyandotte Daily! A recent donation to the Kansas City Kansas Community College Nursing Department is expected to affect more than 300 students each year in four different programs, while also giving students an opportunity to learn hands-on training. Olathe Medical Center donated 13 Stryker 2 hospital beds earlier this month to the department. Through the donation, KCKCC is able to update beds in the Simulation Center, Fundamentals/CNA/LPN/PTA Lab and the Lifespan Lab, where the department has its mother-baby simulations. Andersen said these beds will make it possible for faculty members to familiarize students with the modern bed technology they will encounter in the clinical setting so that they can be better prepared to utilize the equipment and technology. Programs that will benefit from the donation include the Associate Degree in Nursing, Licensed Practical Nurse, Certified Nursing Assistant and Physical Therapist Assistant programs. 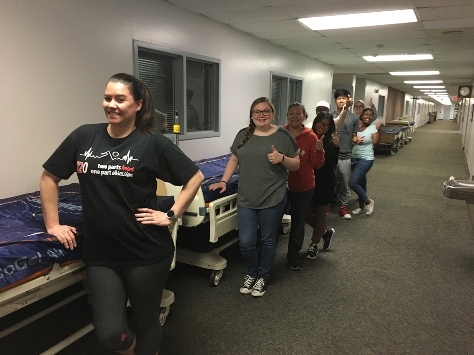 CNA students are currently working with the new beds during the summer session. Andersen said they are “really excited to work with the new technology” as it will help them learn how to use the bed alarm feature to prevent falls and how to weigh a patient while still in the bed. The beds that were replaced will be donated to an area charity organization. Individuals largely responsible for the donation include Dee Saggars, vice president of nursing at Olathe Medical Center; Greg Mitchell, supply chain manager at Olathe Medical Center and the KCKCC Buildings and Grounds crews who assisted in coordinating the effort to move the new beds into the building and removing the old beds.